In this list, I have chosen people who have made a difference to the world in a positive way. They include people from the fields of politics, science, religion, humanitarianism and culture. Abraham Lincoln (1809–1865) Abraham Lincoln overcame many setbacks to become the most influential American President. In his famous Gettysburg speech, he inspired the nation with his noble words and helped to bring about the abolition of slavery. Benjamin Franklin (1706–1790) Great polymath and promoter of American ideals at home and for the country. A practical man of great dynamism and good character. Mikhail Gorbachev (1931– ) Had the courage, tenacity and strength of character to give up the absolute power of Soviet Communism. Moved the Soviet Union to democracy and respect for human rights. Gorbachev enabled the Berlin Wall to come down giving freedom to Eastern Europe. Jesus Christ (c.5BC–30AD) Spiritual Teacher and inspiration of Christianity. Taught a message of love, forgiveness and faith. Born in a turbulent period of Roman rule, after his crucifixion, his message inspired millions around the world. William Wilberforce (1759–1833) Fought tirelessly for ending the slave trade, at a time when many accepted it as an ‘economic necessity’. He awakened the conscience of many of his fellow countryman and made slavery appear unacceptable. Nelson Mandela (1918–2013) Campaigned for justice and freedom in his country South Africa. Mandela, spent 27 years in jail for his opposition to apartheid. On release, he healed the wounds of apartheid by his magnanimous attitude to his former political enemies. Albert Einstein (1879–1955) Einstein’s theories of relativity were a very significant scientific breakthrough. As well as being a genius scientist, Einstein was also a champion of human rights and campaigned for a more peaceful world. Marie Curie (1867–1934) Marie Curie was awarded a Nobel Prize for both Chemistry and Physics. Her discoveries with radiation helped advance medical science. Also, her achievements were even more remarkable at a time when few women were allowed the opportunity for higher education. Thomas Jefferson (1743–1826) One of America’s founding fathers, Jefferson helped draft the Declaration of Independence and fostered a belief in human rights. Amongst other achievements, Jefferson passed one of the first bills on religious tolerance in his state of Virginia. Martin Luther King (1929–1968) Inspiring leader of the non-violent civil rights movement. Inspired millions of people, black and white, to aspire for a more equal society. William Shakespeare (1564–1616) Shakespeare remains the King of English literature. His plays and poetry captured the richness and diversity of human existence in a most powerful and poetic way. Leonardo da Vinci (1452–1519) One of the greatest minds in human history. There were few areas of art and science that Leonardo didn’t delve into. In many areas, he was a couple of centuries ahead of scientific discovery. Da Vinci helped make great advances in anatomy, astronomy, physics, science and others. He also painted the most iconic picture in history–the Mona Lisa. Helen Keller (1880–1968) Despite her condition of both deafness and blindness, she learned to read and write, becoming a champion of social issues and helping to improve the welfare of deaf people. 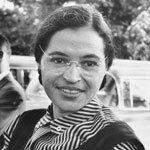 Rosa Parks (1913–2005) Rosa Parks became a well-respected figurehead of the American civil rights movement. Rosa showed what ordinary people can do when they stick fast to their beliefs in testing conditions. 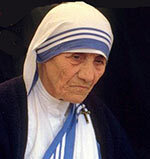 Mother Teresa (1910–1997) Lived a life of poverty to try and ameliorate the conditions of others. Her devotion and compassion inspired the lives of many thousands she came into contact with. Mahatma Gandhi (1869–1948) Gandhi was the principle figurehead of the Indian independence movement. Gandhi followed a philosophy of non-violence and peaceful protest; he also sought to improve conditions for women and people disenfranchised by the caste system. Winston Churchill (1874–1965) In the worst moments of 1940, the Nazi war machine looked invincible as it swept through Europe. Churchill inspired the free nations to keep alive the fight against the tyranny of Hitler’s Germany. Buddha (c 563 BCE–483 BCE) The Buddha was a young prince who gave up the comforts of palace life to seek the meaning of life meditating in the forest. After gaining realisation, the Buddha spent the remainder of his life travelling around India teaching a middle path of meditation and inner peace. Socrates (469–399 BC) Socrates showed the power and integrity of independent thought. Socrates taught by encouraging people to honestly question their preconceptions. His method of self-enquiry laid the foundations of Western Philosophic thought. Jane Goodall (1934– ) Groundbreaking researcher into the behaviour of chimpanzees. Goodall became a noted campaigner and activist for environmental protection and kindness to animals. Florence Nightingale (1820–1910) Florence Nightingale helped to revolutionise the treatment of patients after her experience of treating wounded soldiers in the Crimean war. Anne Frank (1929–1945) Anne Frank was nobody special, just an ordinary teenage girl, but through her diary, she became a symbol of how ordinary people can get caught up in man’s inhumanity. Despite the most testing of conditions, Anne retained an optimistic spirit. Galileo (1564–1642) Scientist who helped make great strides in astronomy and helped promote a heliocentric view of the world, despite coming into conflict with the prevailing religious orthodoxy of the time. Swami Vivekananda (1863–1902 ) Vivekananda was an influential speaker at the 1893 World Parliament of Religions because he advocated religious tolerance and religious unity. He also encouraged the education of women and inspired fellow Indians to take greater pride and belief in the best of Hindu culture. George Orwell (1903–1950) George Orwell was a democratic socialist who fought in the Spanish civil war on the side of the Republicans. He gave up his privileged education to spend time with the unemployed of the Great Depression. His greatest contribution was warning about the dangers of totalitarian regimes (through Animal Farm and 1984). 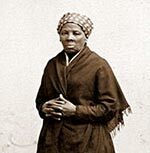 Harriet Tubman (1822 – 1913) Tubman escaped from slavery but returned on many dangerous missions to Maryland where she helped lead slaves to freedom. She also served as agent and leader during the Civil War. She became a symbol of the abolition movement. Princess Diana – First wife of Prince Charles, Dian was involved in many humanitarian charities. Helped to de-stigmatise diseases such as AIDS. Confucius – Influential Chinese philosopher who laid the groundwork for much of Chinese philosophy and society. Confucius taught principles of morality, reverence for ancestors and orderly conduct. Mozart – A musical genius whose compositions continue to give joy to millions of people. John Keats – Romantic Poet. Keats lived a short life, but the intensity of his poetry has left a deep and lasting legacy. ‘A thing of beauty is a joy forever.” – Keats. Eleanor Roosevelt – A supporter of the rights of women and committed to the oppressed in society, Eleanor also helped to draft the UN Declaration of human rights. Woodrow Wilson – Woodrow Wilson had a vision for a League of Nations, a forum where nations could come together to solve disputes. The League of Nations struggled to make an impact before the Second World War but became more effective as the United Nations. Leo Tolstoy – Influential Russian author, whose great epics include War and Peace. His philosophy of non-violence and a return to rural simplicity inspired other politicians such as Gandhi. Sri Krishna – Revered as Hindu Spiritual Teacher. His teachings are immortalised in the Bhagavad Gita. Krishna taught a middle path of yoga, selfless action and devotional worship. Louis Pasteur – French scientist who found many important improvements in medical science, e.g. vaccination for Rabies, and a safe way to pasteurise milk. 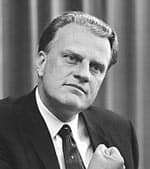 Billy Graham (1918 – 2018) American Christain evangelist. Graham preached the gospel of Jesus Christ to billions of people around the world in live mass meetings and on the tv and radio. He preached an inclusive philosophy, eschewing racial segregation making outreach to other faiths. Rumi – Muslim poet and Sufi mystic. His poetry about love and the deeper meaning of life have a universal appeal. Rumi has become one of the best-selling poets in the world. Charles Darwin. Darwin published his Origin of Species detailing a belief in evolution at a time when such a decision was very controversial. Akbar – The Great Moghul Emperor who went a long way to uniting India under his rule. Akbar was known for his love of culture, music and philosophy, although he was also a great warrior. He introduced enlightened laws on religious tolerance in his kingdom and encouraged representatives of different religions to come to his court. C S Lewis – Author of best-selling ‘Chronicles of Narnia’ and Christian apologist. Sophie Scholl (1921–1943) German student who took part in resistance to Hitler and the Nazi party. She helped distribute leaflets criticising the war and the Nazi ideology. She was executed for ‘ treason’ and became an important symbol of German resistance to Hitler. Oprah Winfrey – US talk show host who became an important figurehead for women in America. Encouraged belief in self-improvement. Martin Luther – Martin Luther was the most influential figure in the Reformation of the sixteenth century. It was Luther who challenged the excesses of the Catholic church, leading to the Protestant movement and forcing the Catholic Church to reinvigorate itself. Edward Jenner – led pioneering work on the development of an inoculation against deadly smallpox. Opened up the way to more immunisations, arguably saving the lives of millions of people around the world. Sir Isaac Newton – One of the greatest scientists of all time. Isaac Newton led the foundation of modern physics with his development of theories on gravity and mechanics. St Francis of Assisi – Christian mystic who founded a new monastic order committed to the essence of the Christian gospels. 14th Dalai Lama – Spiritual leader of Tibetan people. Helped to popularise principles of Buddhism around the world. Pablo Picasso – Iconic twentieth-century artist, known for his commitment to peace. John Lennon – Iconic singer-songwriter. Member of the Beatles. Desmond Tutu – South African anti-apartheid campaigner. He sought to heal wounds after the end of apartheid through the Truth and Reconciliation committee. Michelangelo – Never suffering from false modesty, Michelangelo referred to himself as ‘God’s own artist’. But, in the case of Michelangelo, his self-belief was well justified. His artistic output includes some of the greatest works of art ever produced: The Pieta, The Sistine Chapel, the Statue of David. Jesse Owens – Jesse Owen’s four gold medals at Hitler’s 1936 Olympics in Berlin was one of the great moments of sport, which helped to puncture the Nazi ideology of Aryan supremacy. Jesse Owens was a modest hero who remained a great ambassador for the sport. Pope John Paul II – Polish pope who played a role in the transition from a Communist to a more democratic Eastern Europe. 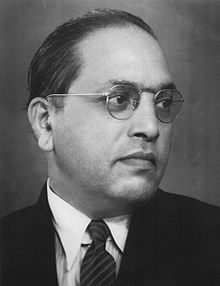 B.R Ambedkar (1891–1956) Indian social reformer. Ambedkar was born in the Mahar ‘untouchable’ caste but became a pioneering political activist and social reformer. He was the principal figure in the drafting of the Indian Constitution, which outlawed ‘untouchability’ and promoted equality. Sri Chinmoy (1931–2007) An Indian spiritual teacher whose philosophy combined the mysticism of the East with the dynamism of the West. He founded the Sri Chinmoy Oneness-Home Peace Run, a worldwide relay run that promotes greater friendship and understanding. St Teresa of Avila – 16th Century Spanish mystic and poet. Helped revitalise religious life in Spain, despite the Inquisition and patriarchal nature of society. Pele – One of world’s greatest ever footballers. Became international sporting icon. Abbe Pierre – French humanitarian who set up a charity for the homeless. Sri Aurobindo – Early Indian nationalist leader who later retired from politics to devote his life to yoga, spirituality and poetry. Annie Besant – involved in representing women and workers in 19th Century Britain. Became leading member of Theosophy Society and supported Indian independence. Emile Zatopek – Greatest long distance runner, winning three gold medals at the 1954 Olympics. A principled supporter of Czech democracy, he was sent to work in mines for his opposition to the Communist government. St Therese Lisieux – A Carmelite nun, who died aged 24, unknown to the world. After her death her simple writings had a profound effect becoming one of the best-selling spiritual writings. Her approach was a deceptively simple approach to doing the smallest acts with love. Audrey Hepburn – Actress later involved in working for UNESCO. Betty Williams – Awarded Nobel Peace Prize for her peace work in Northern Ireland. Bob Geldof – Musician and charity campaigner. Launched ‘Band Aid’ in 1984 to help African famine. Eva Peron – Argentinian First Lady, founded influential charity and helped create a more equal society. Sir Titus Salt – Victorian industrialist who was also concerned for the welfare of workers. Helped to build a model village and insist on better working conditions. Dietrich Bonhoeffer – German pastor and pacifist who was executed for his opposition to Hitler in Nazi Germany. Harriet Beecher Stowe – American writer and campaigner against slavery. The author of Uncle Tom’s Cabin. Kofi Annan – Secretary-General of the United Nations from 1997 to 2006. Awarded Nobel Peace Prize in 2001. Lech Walesa – Polish opposition leader who became a symbolic figure in efforts to end Communist rule. Malala Yousafzai – Pakistani schoolgirl who defied threats of the Taliban to campaign for the right to education. She survived being shot in the head by the Taliban and has become a global advocate for human rights, women’s rights and the right to education. Famous Humanitarians – Famous people who have offered charitable service to others, including Mother Teresa, William Wilberforce, Florence Nightingale and Princess Diana. Women who changed the world – Famous women who changed the world. Features female Prime Ministers, scientists, cultural figures, authors and royalty. Includes; Cleopatra, Princess Diana, Marie Curie, Queen Victoria, and Joan of Arc. 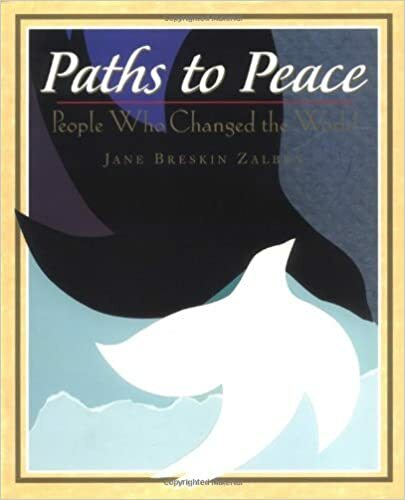 People who promoted world peace – People who have made a great contribution to creating a more peaceful world. Including Mahatma Gandhi, Leo Tolstoy, Malala Yousafzai Pope John Paul II and Mikhail Gorbachev. People who made a positive contribution – People who all left the world in a better place. Including Marie Curie, Hariet Tubman, Albert Einstein and Eleanor Roosevelt. People who fought for human/civil rights – People who campaigned for equality, civil rights and civil justice. Includes Abraham Lincoln, Harriet Tubman, Martin Luther King and Rosa Parks. if i want to write not to much but not to little, who should i write about? I’m thinking about Anne Frank (btw i’m doing a project), i think her story shouldnt be to hard or to easy. Any thoughts? I really do wanna where Walt Disney is, too. Where is Mustafa Kemal Atatürk? Swami Vivekananda was a sanyasi and not a sanyasin. The sanyasin are women. A member of the sannyasa order is known as a sannyasin (male or female) or “sannyasini” (female). Yeah? I agree, she made a difference!